Eat What You Love, Love What You Eat for Binge Eating wins award! - Am I Hungry?Am I Hungry? Eat What You Love, Love What You Eat for Binge Eating wins award! We are thrilled to share that we have received a Silver Nautilus Award for Eat What You Love, Love What You Eat for Binge Eating: A Mindful Eating Program for Healing Your Relationship with Food and Your Body! The Nautilus Awards celebrate and honor books that support conscious living, green values, high-level wellness, and spiritual growth. Please help us celebrate this honor! 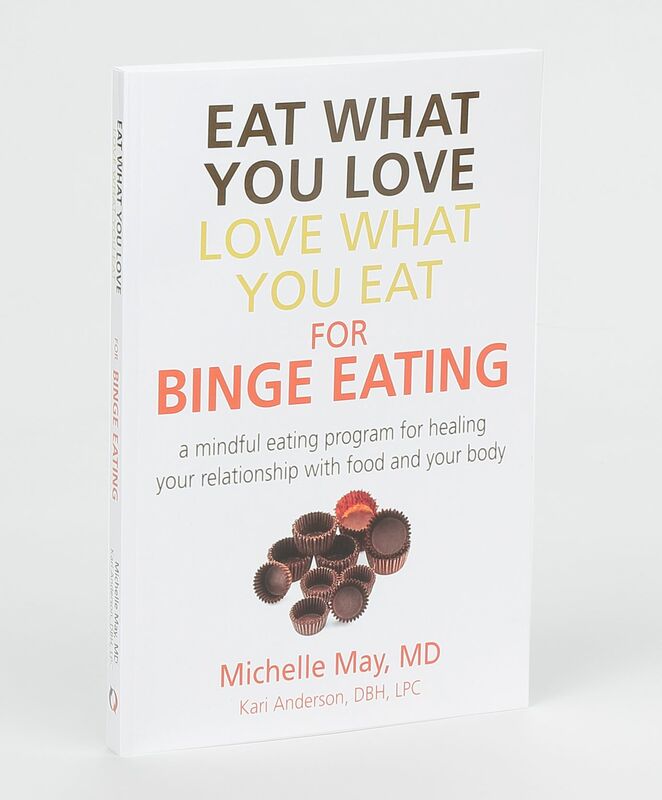 Written by Michelle May MD and Kari Anderson DBH, LPC, Eat What You Love, Love What You Eat for Binge Eating offers a step-by-step process for self-discovery and healing your relationship with food and your body. You’ll learn new ways to manage the physical, emotional, and environmental stresses you encounter each day without turning to food. Purchase an autographed copy of Eat What You Love, Love What You Eat for Binge Eating from our website and get $5.00 off when you use promo code Winner when you check out! You may also be interested in learning more about our 5-day Mindful Eating for Emotional and Binge Eating Retreat and our online, self-paced training for therapists and treatment teams to offer a ten week Mindful Eating for Binge Eating Program!